Sir Tony Brenton explained to RBTH his view on Russia's choices in the current crisis. 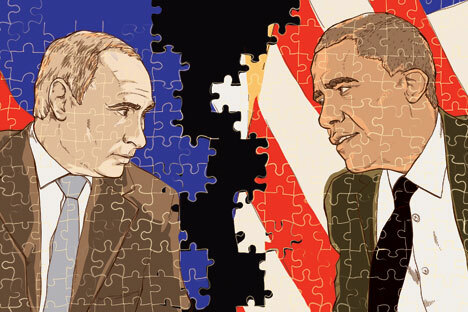 This year has brought the chilliest phase in relations between Russia and the West since the end of the Cold War. Neither side intended this, but both have played their part. After the collapse of the Soviet Union, the West simply stopped taking Russia seriously. Again and again the U.S. and its allies rode roughshod over Russia’s intensely expressed concerns about, in particular, the expansion of NATO, the seizure of Kosovo, the invasion of Iraq and the over-encouragement of Georgia. And even when Georgia’s ill-judged attack on South Ossetia in 2008 led to an overwhelming Russian counterattack, the West seems not to have learnt the lesson. Instead it chose the country that Russia regards as almost part of itself, Ukraine, as the place to encourage the overthrow of a democratically elected (if awful) president by what looked to Moscow like an anti-Russian mob. Nothing could have been more provocative. But Russia then committed blunders of its own. The annexation of Crimea, understandable in the context of a panic that “Little Russia” might be about to be swallowed up by NATO, was the most significant act of territorial rapacity in Europe since the end of the Second World War. It created an atmosphere of mutual mistrust and fears of renewed Russian expansionism that have bedevilled all attempts to lower tensions. And (steadfastly denied, but abundantly evidenced) Russian involvement with the pro-Russian separatists in East Ukraine has been a catastrophe. The separatists have proved to be ill-disciplined gangs of thugs, brutal in their methods, with limited public support in eastern Ukraine. They are increasingly dependent on Russia as a source of volunteers and arms. The latter almost certainly included the missile that brought down flight MH17 and sharply intensified Western anger at what is seen as the Russian hand behind the insurrection. And now the dissidents are losing the war, facing President Putin with a hideous choice. He can acknowledge defeat and abandon them. Or he can up the ante, perhaps with overt intervention, and face the costs, dangers and immense further damage to relations with the West which would surely result. Meanwhile, Western economic sanctions, understandable in the context of the need for Western leaders to be seen to “do something”, have made the situation worse. They are doing real economic damage but their political effect has been exactly the reverse of what was advertised. In embattled Russia, public opinion has swung firmly behind the nation’s president. He shows no disposition to compromise, has authorised a significant round of Russian countermeasures, and has ostentatiously built links with the non-Western rising powers. The past few weeks have seen a vast new gas deal with China, talk of oil swaps with Iran, and encouragement to the Brazilians to fill the gap left by the exclusion of EU agricultural exports to Russia. It is encouraging that both the French and the Germans are now trying to reopen communications with Moscow. But trust is at a low ebb, and could evaporate if Russia invades eastern Ukraine. Mr Putin’s credibility with Western leaders has been sapped by his repeated denial of Russian military assistance to the Ukrainian rebels. He and President Obama are virtually incommunicado. David Cameron seems to have decided that tough rhetoric is adequate as UK policy – negotiation is for others. And Angela Merkel – the oneWestern leader Mr. Putin listens to – has become much less open to compromise as a result in particular of the downing of the Malaysian airliner. Western policy towards Russia, even discounting improbable talk of NATO rearmament and reduced dependence on Russian gas, is reduced to maintaining economic pressure and waiting for Putin to fall. This is a remote prospect, made more remote by Western hostility, and there are good reasons for doubting that Putin’s eventual successor will be any friendlier to the West. In Russia, the crisis has given a boost to those who want to see a more state-centred Russian economy less entangled with the West. Such a Russia would inevitably also be more authoritarian and less co-operative across the whole range of crucial international problems, from the Middle East to climate change. Long held, and even now not entirely extinguished, hopes of Russia becoming a “normal” European country are being set back by decades. Meanwhile, prospects for recovery of a battered Ukraine, prostrate between Russia and the West, remain minimal. The tragedy is that, given the necessary statesmanship, a way out of the mess is plainly visible. It must be apparent, even in the depths of the Russian security establishment, that the eastern rebels have become a huge liability. The trick is to give Russia a face-saving way of abandoning them. A package comprising a ceasefire, humanitarian efforts for the local population, and Ukrainian assurances on the rights of Ukraine’s Russian speaking population should be enough. Meanwhile Russia’s other key fear – that Ukraine will fall into the arms of NATO – certainly will not happen in the foreseeable future, and could be further guaranteed by the West. Ukrainian acquiescence could be obtained in exchange for a large aid package. Although Crimea looks doomed to join Europe’s list of “frozen conflicts”, Ukraine could drive a profitable bargain on Russian gas supply in exchange or formal recognition of its loss. It looks as if the Germans and the French have launched tentative feelers on the question of a ceasefire, but where are the leaders with the political courage to press for a broader solution, so avoiding a destructive freeze in Russia’s relations with the West for years to come? Find out more: What sanctions have been applied against Russia?